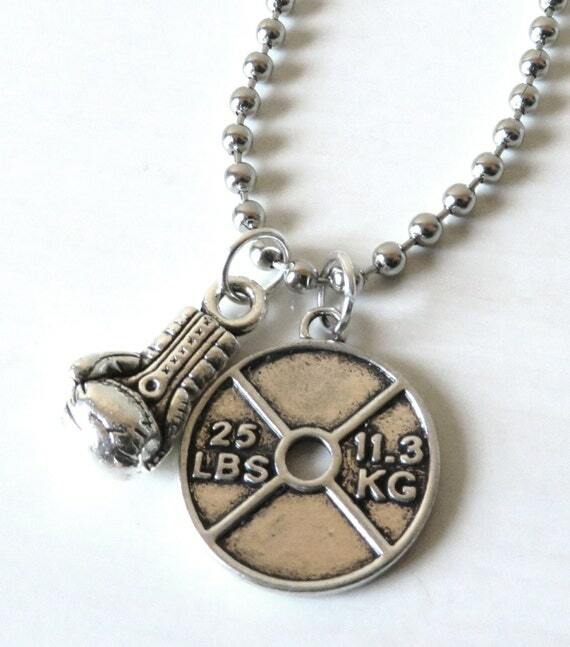 Need a gift idea for a friend or loved one who is a fitness enthusiast or perhaps is embarking on a fitness journey for the first time? 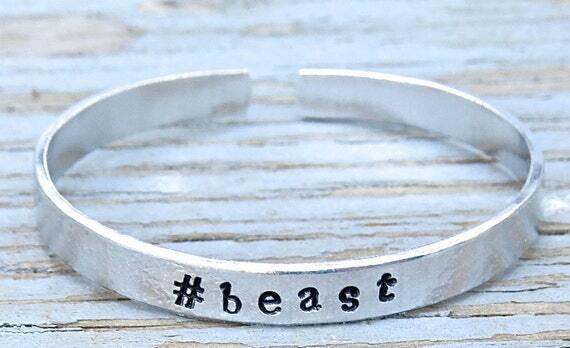 To help you out, I put together a collection of unique fitness gifts for her that any girl would love to receive. 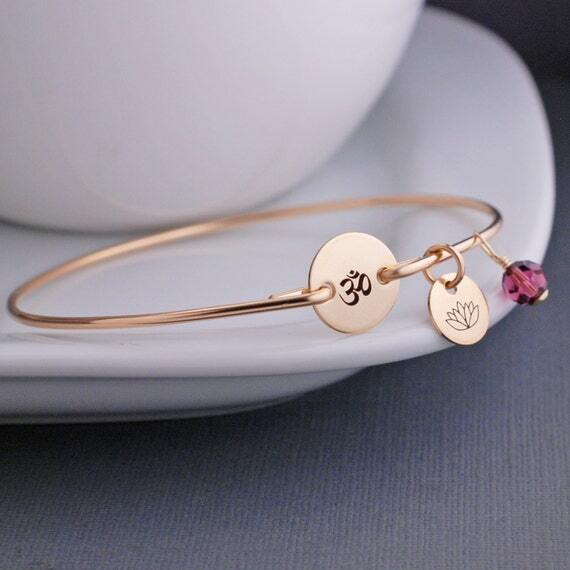 Some of the gifts are practical and meant to be used during a workout and some of the gifts are purely meant to nurture the soul. 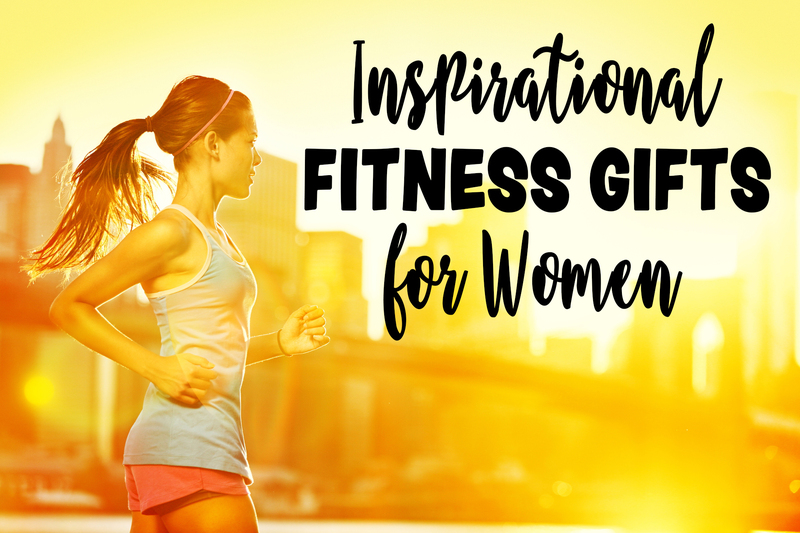 These motivational and inspiring fitness gifts for her are great for both newbies and seasoned fitness geeks. 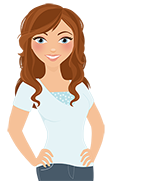 An essential for any girl who works out is a reliable headband to keep the hair out of the face and to prevent sweat from dripping down the face. 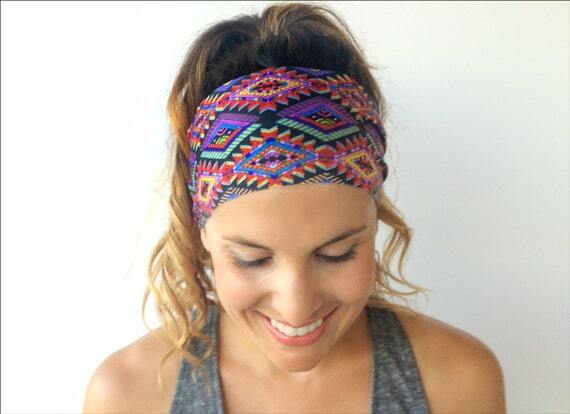 These lightweight and stretchy Yoga Headbands get the job done and are fashionable too. 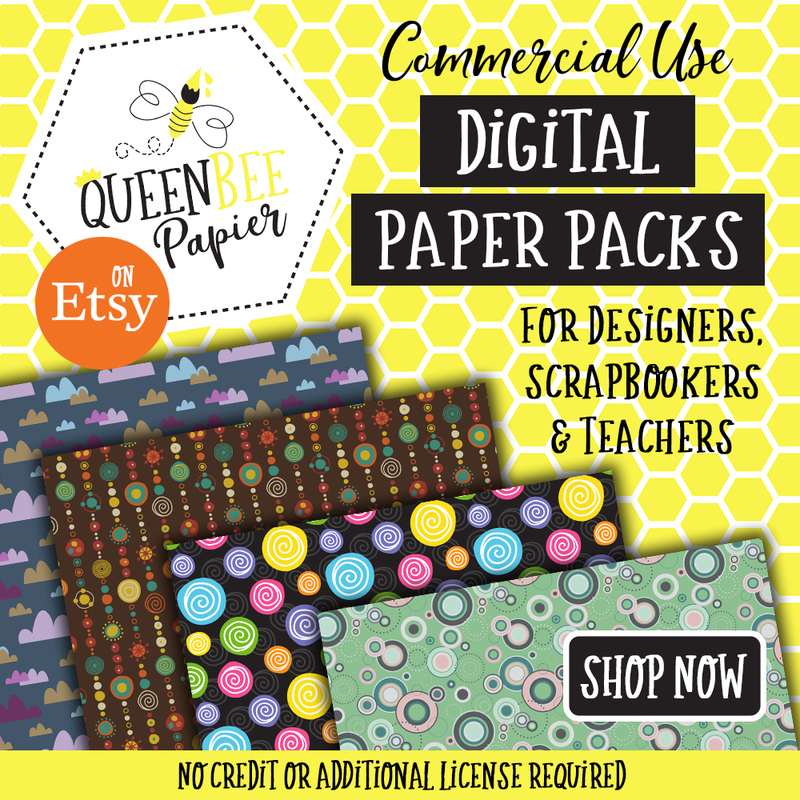 This seller has lots of stylish designs to choose from. Pick up two or three to have on hand because a girl can never have too many headbands! 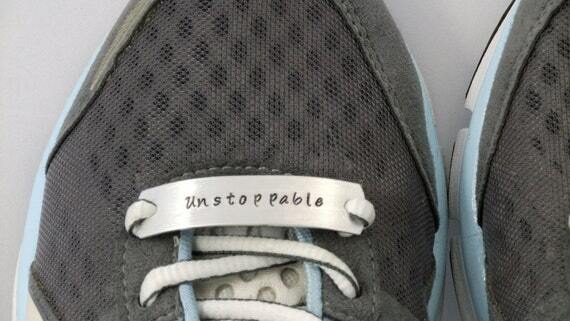 Keep the motivation front and center by decorating a pair of workout shoes with Fitness Shoelace Plates hand-stamped with inspirational phrases. 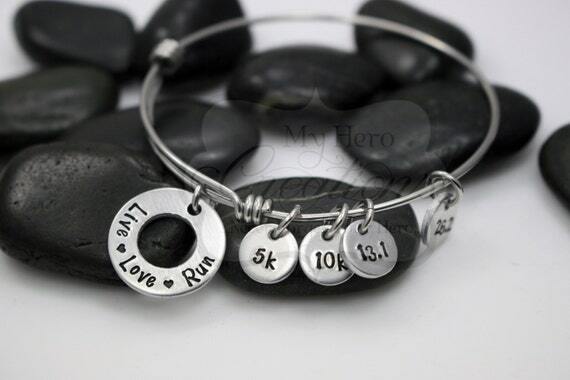 These make a great focal point for getting through a tough workout or run. 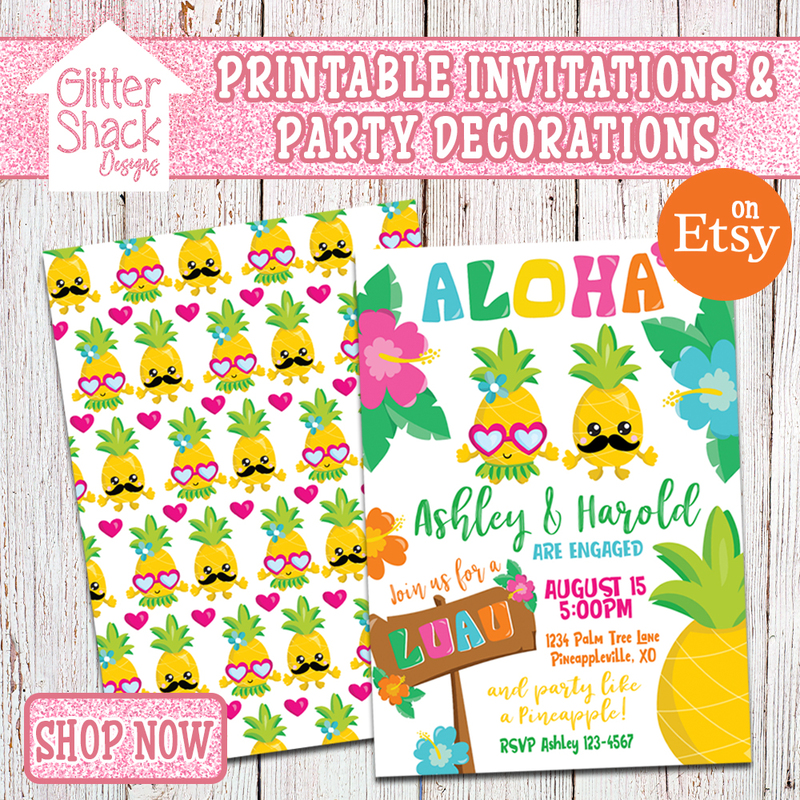 Browse each of these shops for a variety of messages or request your own personal message. 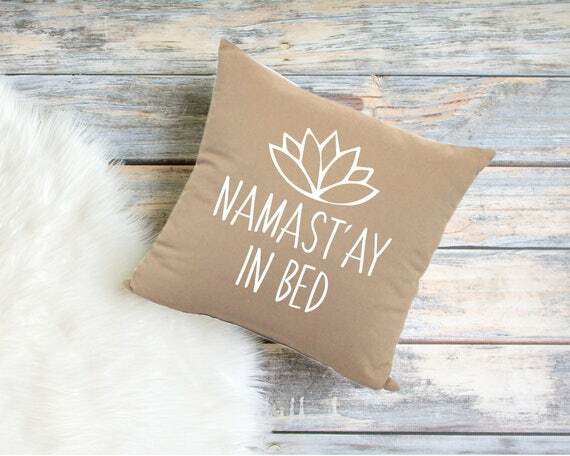 These Namast’ay In Bed Yoga Quote Throw Pillows are a funny play on words that make wonderful gifts for your yoga loving, gentle souls friends. This recycled fiber filled throw pillow makes a stylish accent for displaying on a couch or bed. Available in creamy brownstone or the rich dark smokey brown. 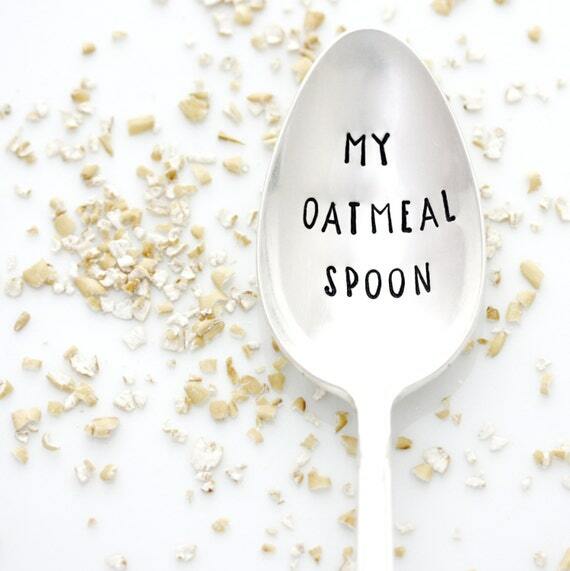 If you are looking for a special one-of-a-kind gift for a fitness geek, these Fitness Inspired Vintage Spoons And Forks hand-stamped with motivational messages are both unique and gorgeous. 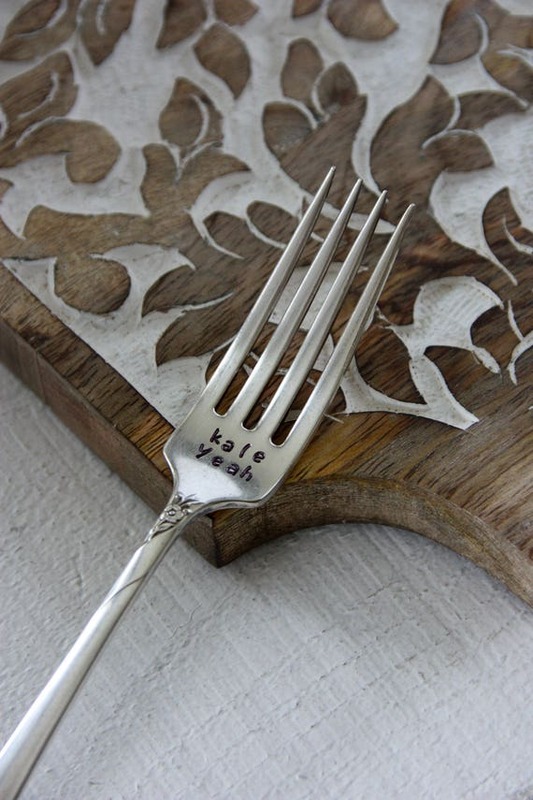 The forks and spoons are adored with gentle reminders for sticking to a healthy eating plan. 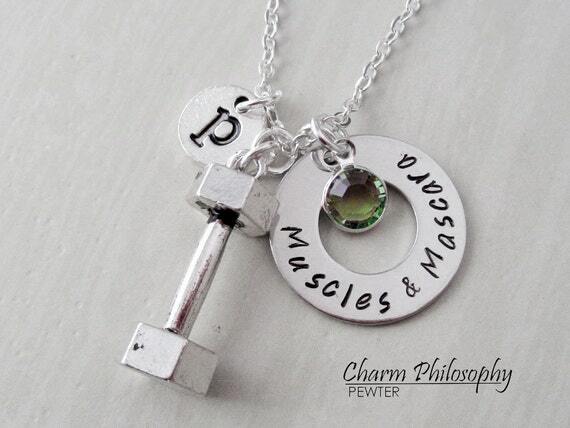 A thoughtful and inspiring gift to give someone who is embarking on a fitness journey is a piece of fitness jewelry. 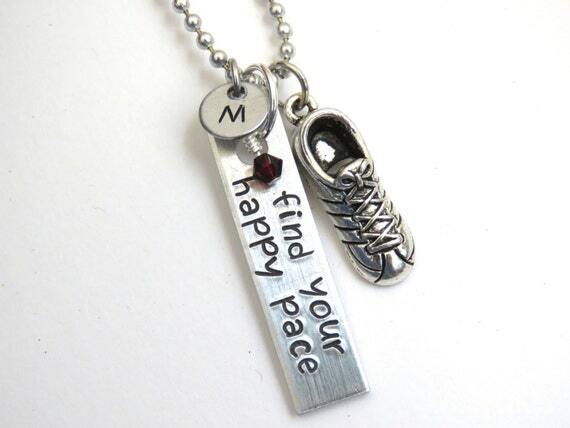 Jewelry makes a wonderful gift for celebrating a milestone or accomplishment. 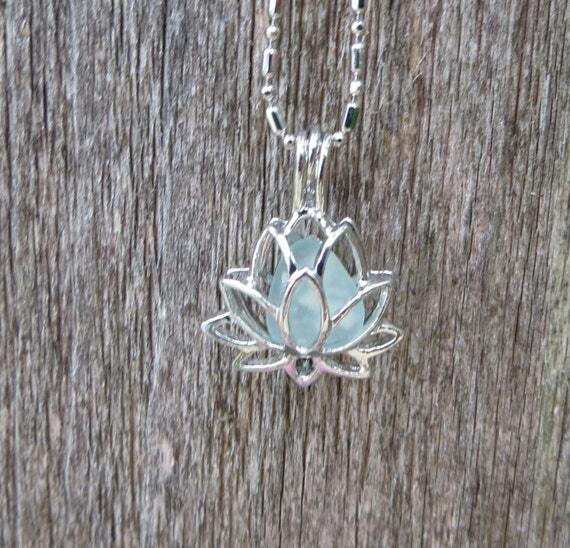 Or for giving words of encouragement to your loved one when the going gets tough. 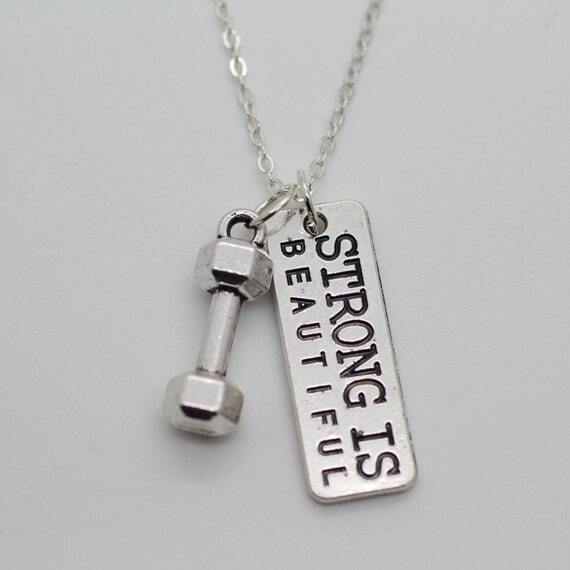 Fitness jewelry is also a thoughtful way to tell someone their determination and perseverance is inspiring and motivating to you. 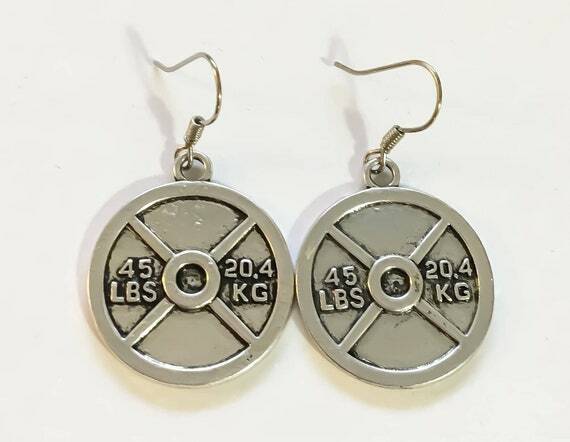 There are endless options of fitness jewelry to choose from including earrings, bracelets, necklaces, key chains and shoe lace tags. 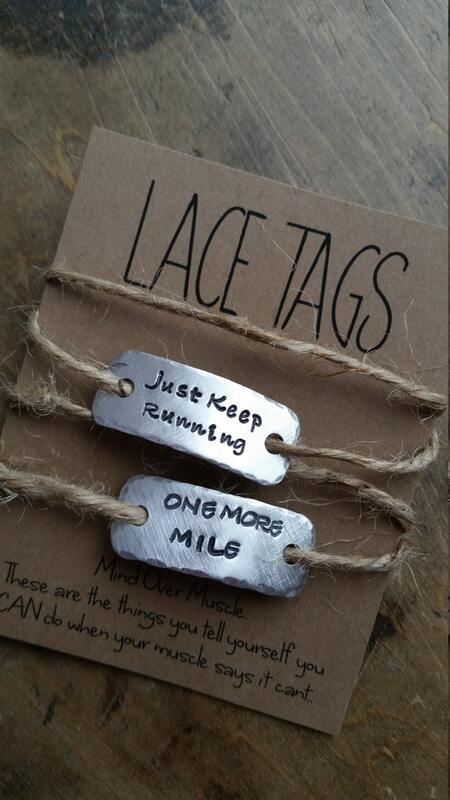 Looking for a gift for a runner? 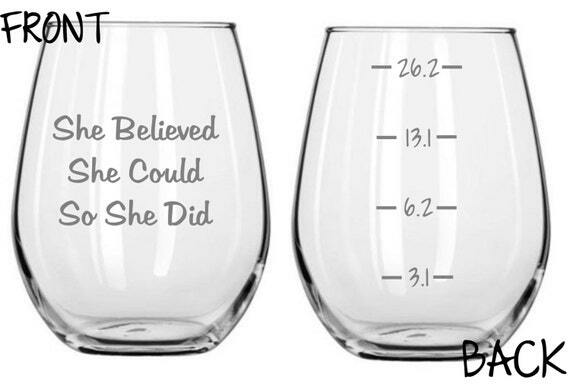 These Marathon Running Tumblers are a great gift for someone who just finished running their first or one of many marathons. 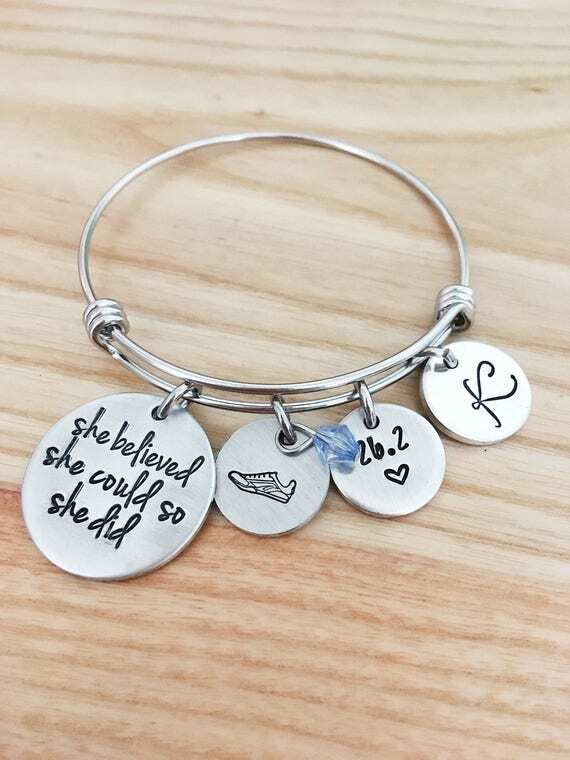 The quote, “She believed she could, so she did” is etched on one side of the tumbler. 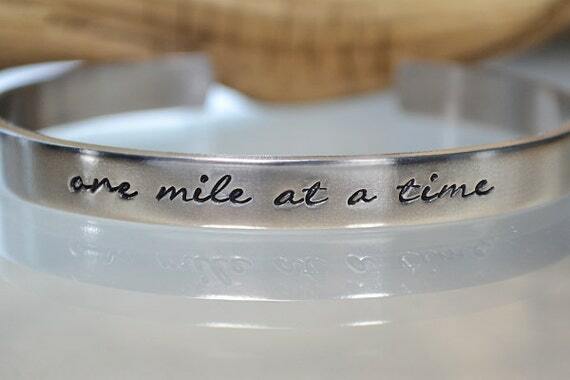 The other side of the tumbler is marked with the different lengths of marathons from 3.1 miles to 26.2 miles. This set includes two tumblers. 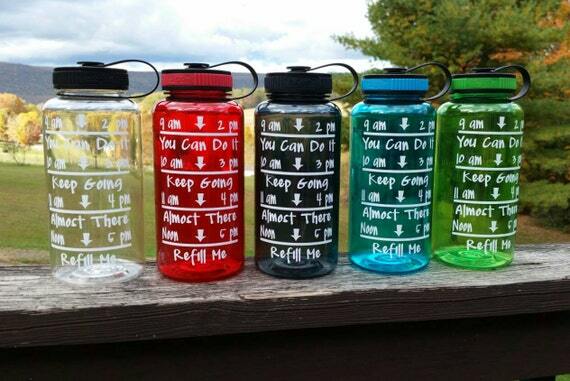 An essential for every workout, whether it be running, weight lifting or yoga, is a water bottle. Staying hydrated and replenishing lost fluids during and after a workout is extremely important. 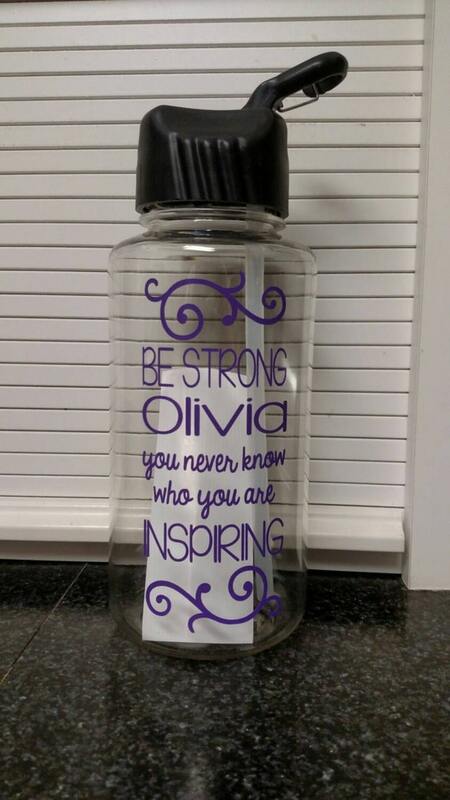 Inspire your friend to drink more water with a water bottle inscribed with a personalized, motivating message or challenge them to drink up with a water tracking bottle. Using a water tracker makes it easy to meet daily water goals. Whether you are looking for a gift for someone who is embarking a new fitness journey or is a seasoned gym junkie, workout clothes are always appreciated. Women are much more motivated to hit the gym when they feel good about themselves. 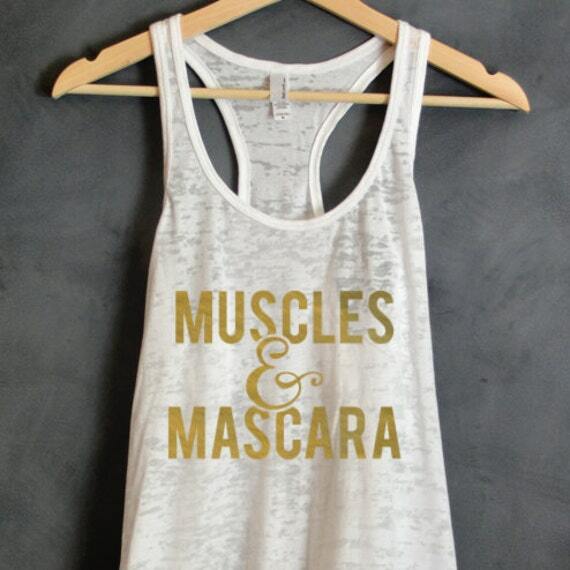 Cute workout clothes inspires more confidence and an “I can do anything” attitude than a baggy t-shirt and sweats. 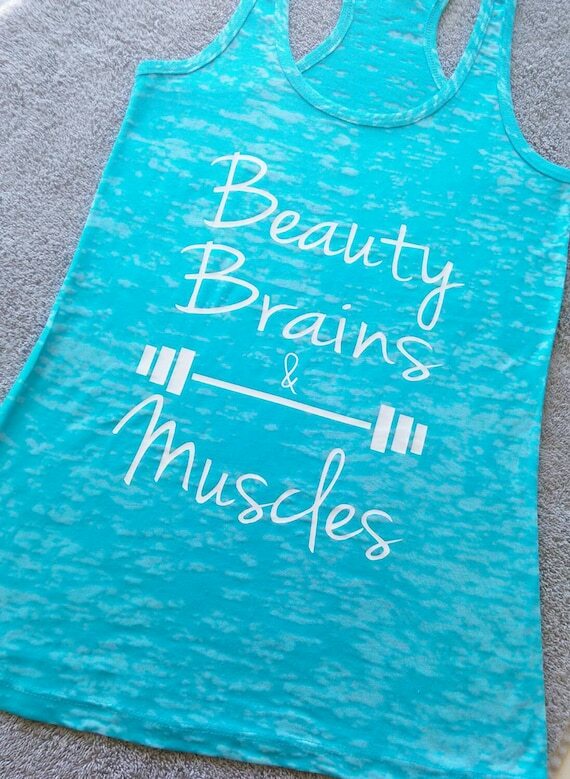 And what better way to show off the rewards of all the hard work she has put in than with a cute fitness tank top? 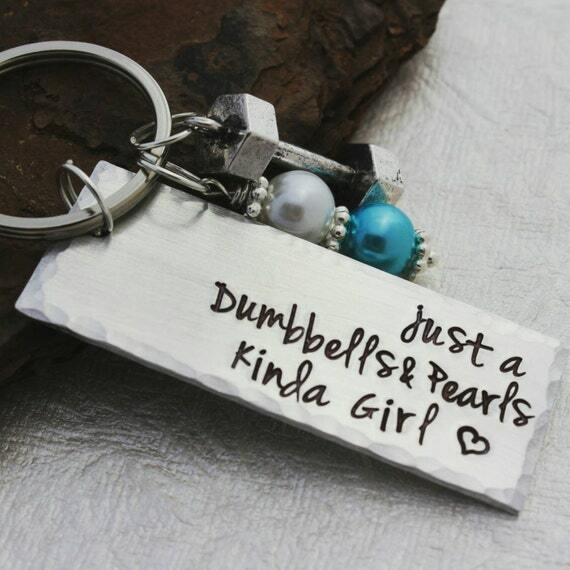 Thanks for visiting and I hope you found these fitness gifts for her helpful!